Luxury is no longer confined only to the super rich or inheritors. With changing times and the evolution of the Indian economy, luxury has come a long way and is now touching more lives than it did ever before. According to a recent report released by AT Kearney in collaboration with CII, “Luxury Market in India – Reflections on the Year Gone By”, the Indian luxury market is evolving more rapidly than it had been foreseen. It has witnessed robust growth of 20 per cent over the past year and is estimated to have reached $5.75 billion in 2010, in line with the 5 year projections. Luxury products have grown the fastest at 29 per cent to reach a size of $2.05 billion, well above the expectations of 23 per cent. Services have grown at 22 per cent to reach $0.95 billion and assets have grown at 13 per cent to reach $2.75 billion. Indian buyers are now moving away from skepticism and want to buy luxury, which, along with giving them a sense of buoyancy, also offers a sense of satisfaction and lets them flaunt their wealth. The Indian consumers are becoming more and more knowledgeable and aware of global brands and trends, thanks to the digital and social media. What has also made India a sought after nation for luxury is that there is a slowdown in the BRICS nations, which has shifted the focus to India. “Observations have proven that there is a shift in the fashion capital of the world every 30 years. Fashion capitals across the world have already reached a saturation point and with the European and the US markets still reeling under the aftermaths of the recession, it will be very difficult for London, Paris, Milan and New York to maintain a growth rate of over 15 per cent in the sector. This will serve as a great opportunity for the burgeoning Indian markets,” says Pradeep Hirani, Chairman at Kimaya Fashions Pvt Ltd. The report states another interesting development is the number of private equity deals that have transpired in the luxury space over the last 12 months, such as L Capital acquiring a stake in Genesis Luxury and Franklin Templeton acquiring a stake in Kimaya. While players continue to move cautiously in the luxury market, there is an increasing sense of buoyancy and optimism amongst the industry leaders about the future potential of the Indian luxury market. While companies realise that India will not be an easy country to play in, it is definitely on the radar of most players as a long-term growth market. According to the report, projections for 2015 of an expected market size of $14.72 billion ($5.38 billion products, $1.45 billion services and $7.9 billion assets) remain unchanged. “Luxury has seen a lot of growth lately; earlier, it was only need oriented, but now, there is a fresh wave of growth, which is mainly driven by growth in disposable incomes and aspirational value of brands among people. A lot of investors are also looking at the growth; the challenge remains in selecting the model. For instance, should it be companies that are bringing in luxury brands or should it be the brands,” says Rajesh Sharma, Assistant Vice President – Brand Capital, The Times Group (BCCL). “The Indian luxury products market has been growing at more than 20 per cent per annum historically and is expected to grow at this rate over the next few years. It is an attractive investment avenue for growth capital. PE funding is not only about financial investment, but it acts as a partner in taking the brand to a new level. They come with years of experience and add a lot of value to the company by making it more systematic and target-driven,” says Hirani. Kimaya has received investment from Franklin Templeton Private Equity Strategy and this is the first investment of its kind that will be channelised towards growth of the Indian designer wear industry. The focus will be on achieving pan-India penetration and presence, where the demand for Indian designers is twofold the supply. The company is in the process of finalising the roll out of franchised and company operated stores. The real Indian consumer base is not only in the metros but also in tier II cities like Ludhiana, Chandigarh, Pune, Lucknow, Nagpur, Kochi, Jaipur, Hyderabad, Kolkata and the likes. Internationally too, Kimaya is considering regions where Indian pockets are populous and the demand for Indian fashion is immense. Kimaya Fashion, after the PE funding, expects a growth at the rate of 35-40 per cent YOY. “By leveraging on the existing platform that Kimaya enjoys, the company is all set to deploy the funds raised in the current round for expanding Kimaya’s presence and establishing a new brand – KARMIK – in the affordable luxury space, popularly known as the prêt segment. The new prêt label will be committed towards making Indian designer wear accessible to a much wider consumer base across the country, targeting the cash healthy upper middle class,” Hirani adds. This would also push the company towards having its own IPO in the future. India is now seeing a greater number of the new rich, who are not inheritors. As the Indian economy sees a boom, it has also given a boost to wealth creation in the country. New ventures and jobs in the technology and financial services, which are paying fat paychecks, have generated the new rich in India. According to a recent report by CRISIL in collaboration with Kotak Wealth, “Top of the Pyramid”, entrepreneurship is clearly the dominant source of domestic wealth, but fast-growing service industries such as technology and financial services have also catapulted many hitherto middle-income group individuals into the ultra high net worth individual (ultra HNI) bracket. Kotak Wealth and CRISIL Research estimate that there are around 62,000 ultra HNHs in India as of 2010-11, with a minimum net worth of Rs 250 million. This number represents a meagre 0.03 per cent of the total households in India, but is poised to more than triple to 219,000 households by 2015-16. Indians are now having better disposable incomes and the new rich want to flaunt their money by buying expensive stuff. They want the best of brands in their wardrobe. According to the report, Ultra HNHs spend around 22 per cent of their income on luxury items. Based on cultural traits, ultra HNHs in north India tend to be a bit more expansive with their money as compared to their counterparts, especially from the south. Moreover, the consumers are becoming more and more knowledgeable about fashion and worth of luxury. Along with quality, they are looking for special services and attention when they walk into the store. “The biggest problem is infrastructure. We can’t give them high street spaces, even though there are malls in Delhi and Mumbai, but in order for luxury to seep deep into the Indian markets, there is a need of space where luxury brands can dwell,” says Sharma. 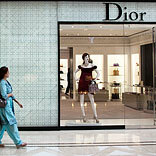 Another aspect that is lacking for the Indian luxury sector is trained manpower. The Indian manpower, which is appointed at the luxury stores, still needs to be trained about the products and also the way the customer needs to be serviced. In order to overcome this issue, some players are working towards educational and training programmes that would help in building a better and interactive manpower. Two names that have recently come up with such programmes are IAM and Luxury Connect. While IAM India offers Strategic Fashion and Luxury Retailing, which is a 6-month programme, Luxury Connect has joined hands with SDA Bocconi, Italy, to train the manpower. “Realising at the very advent of the journey for an existing gap in the luxury market for trained manpower, we are collaborating with SDA Bocconi, School of Management, Italy, to launch the first Luxury Goods and Services Management Programme in India by April 2012,” says Abhay Gupta, Founder Promoter & CEO, Luxury Connect. “Envisaging the huge shortage of trained and qualified sales personnel in the Indian luxury segment, we have also teamed up with Jean Claude Roustant to launch “Luxury Customer Experience Management Programme” in India,” he adds. Retail Training Director at Louis Vuitton for 13 years, Jean Claude Roustant was instrumental in the development of LV culture across the globe. PE funding in luxury brands will act as a fuel that will only propel the growth and coming of new luxury brands in India. The companies are planning big and with time, things will start falling in place when the right infrastructure and manpower would be available to bring the best of products and services to the rich Indians.